The Mayweather v Pacquiao fight will be the most lucrative boxing match in history, with both Manny Pacquiao and Floyd Mayweather set to take home a share of $300m. Mayweather most definitely makes himself known, but we here at The List Love wanted to take a look at the more reserved opponent. 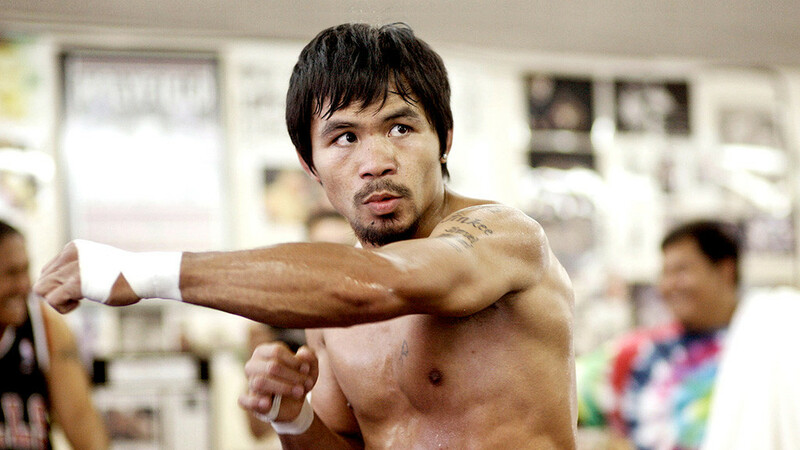 Take a look at 10 crazy facts about Manny Pacquiao. 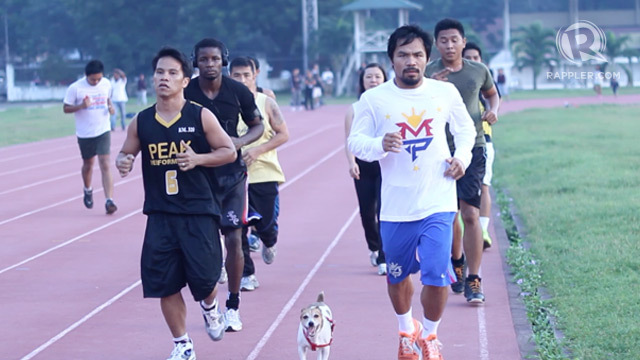 Manny most definitely has a big fan base both in and outside the Philippines. He’s loved so much that an average of 500 fans follow him on his morning runs in Los Angeles. Believe it or not, Manny ‘Pac Man’ Pacquiao is a congressmen of the Sarangani district of the Philippines, and many people even view the boxer as a future president. He was elected into the Philippine House of Representatives at the age of 32 years old. 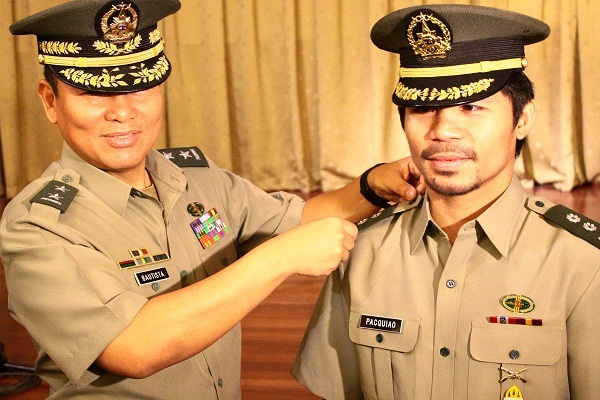 On top of being a celebrated boxer and congressman, Manny Pacquiao is also a Lieutenant Colonel in the Reserve Force of the Philippine Army. He first entered the force on 27th April 2006 as a Sergeant, and rose through the ranks to Technical Sergeant on 1st December 2006. By 7th October 2007, he became a Master Sergeant, which is the highest rank in the enlisted personnel. On 4th May 2009, Manny was given a special rank of Senior Master Sergeant and, in addition, was designated as the Command Sergeant Major of the 15th Ready Reserve Division. 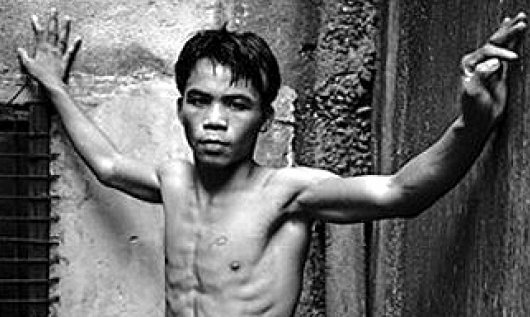 When Pacquiao was just 14 years old, he moved to Manila, as his mother was not making enough money to support her six children, and so he was forced to live on the streets. It wasn’t until he started boxing for the Philippine National Amateur Boxing Team that his room and board were paid for by the government. 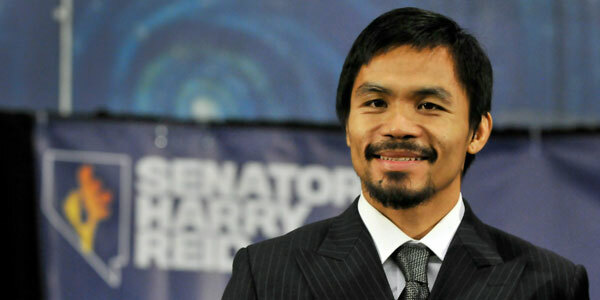 Pacquiao proved what a fantastic fighter he was during his amateur boxing career, as he had a record of 60-4 fights. It was the death of his close friend, Eugene Barutag, that inspired him to pursue a career in professional boxing when he was just 16 years old. He started out as a flyweight, as he was just 4’11” and weighed a mere 98 pounds. He was, however, 7 pounds under the minimum weight division, and later admitted to the media that he would put weights into his pocket to make the 105lb weight limit. He therefore fought other professionals at a disadvantage. 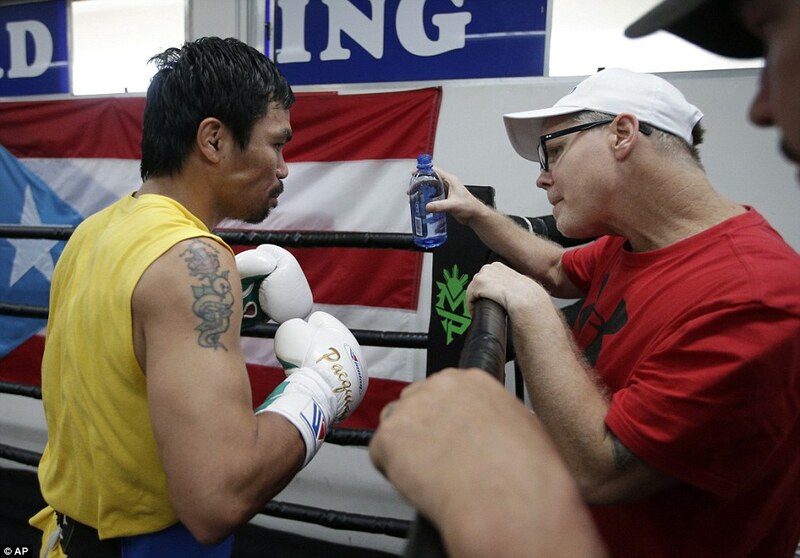 Manny Pacquiao will only drink water that is either hot or at room temperature, because he believes cold water isn’t healthy. 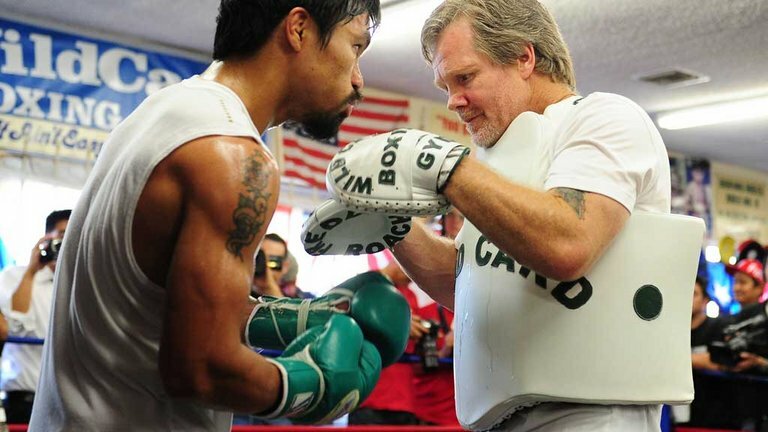 Pacquiao is most definitely shy in comparison to larger-than-life Floyd Mayweather Jr. So you might be a little surprised to learn that Manny is an actor. He has appeared in several movies in the Philippines, portraying ‘Pacman’ the crime-fighting superhero and as a rebel commander. Manny has more than one favourite sport, as he is head coach of the basketball team Kia Sorento. He also played 7 minutes in one of the team’s games, and can therefore be classed as a professional basketball player. He was drafted onto Kia Sorento as 11th overall during his first round on the 2014 PBA draft – and so he is also the oldest rookie and shortest player ever drafted. He also owns the MP Hotel Warriors, who are a team in the PBA Development League. Training under Freddie Roach, the owner of the Wild Card Gym in West Hollywood, Manny made his big boxing break on 23rd June 2001, as he stepped in as a late replacement to fight against the IBF Super Bantamweight title holder, Lehlohonolo Ledwaba, and was given just two weeks’ notice. 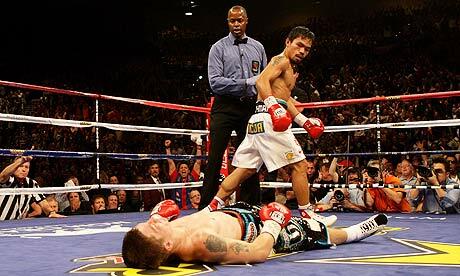 Pacquiao won the fight on a technical knockout and gained Ledwaba’s title. The boxing bout was held at the MGM Grand Garden Arena in Las Vegas, Nevada – the very stadium that Pacquiao will fight Floyd Mayweather on 2nd May 2015. Are you ready for Mayweather v Pacquiao? Take a look at 10 facts about the big fight right here. Stay up-to-date with the last sports facts and follow us on Facebook, Twitter and G+ for more top 10 lists.